Car transportation can be a real headache when traveling on business. Few people have a gripping desire to wait in long lines for taxis at airports or compete with everyone else on the street in hailing down a cab. Fare uncertainty is also something that business travelers have to contend with as many drivers will take advantage of unsuspecting tourists. Limo services have traditionally been a great option for executive travelers, but the arrival of Uber presents another compelling option. So should you get limo or Uber when in the midst of your trip? Uber essentially is a service that allows ordinary people to pick up travelers in their personal car. This is great for people who happen to be out and about in their car and have the time to make a little extra coin on the side. Since Uber is generally unregulated the service can also be offered for considerably lower prices than competitors who might have to pay millions of dollars just for a limited number of cab badges. The most compelling feature of Uber for business travelers is the fact that you can use a convenient app to quickly get a car going to your destination. This is much more convenient than having to find the local number to a good limo service and call in the ride. 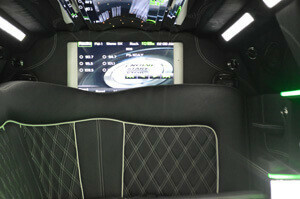 Some higher end limo services have developed apps to prove a more convenient way to hail a limo. However, since most limo services are local, there is no one gateway that can service just about any city you are in. No matter where you are in the world, you know you can use to Uber app to find a car. Perhaps even more importantly, even if you did have the app for a local limo provider chances are you would still be waiting much longer to get picked up. This is simply a consequence of there being many more potential Uber drivers on the street, and one will be statistically more likely to be closer to you. Another big feature that you get from Uber is transparent pricing. One of the problems with some local ride services is they take advantage of people who they think might not know the area. Either you might be taken on an extended detour in route to your destination to boost the mile meter or you might be overcharged a flat rate fee that does not reflect the actual short distance of the trip. Uber calculates its rates upfront using the pickup and destination spots, leaving very little to worry about in terms of fare transparency. Again, some limo apps might provide similar pricing transparency, but that is rather rare. So is it better to get limo or Uber? In most cases, Uber will represent better convenience and value. The one thing you will generally get from a good limo service is a more professional quality of ride. However, if that is not important to you, then Uber will almost always be the better choice. americanlimo on Take A Break And Plan The Perfect Trip. next post: Should I Tip Uber Drivers?